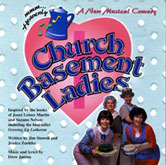 Church Basement Ladies, the first show in the series, is a humorous reflection about growing up in an era before women wore pants to church, and before men served in the church basement. 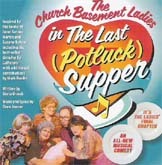 Church Basement Ladies gives you heartfelt, hilarious insights into the lives of those who prepared and served at weddings, anniversaries, funerals and farm auctions. The songs on this CD reflect these insights. This CD was recorded in August 2005, just prior to the opening of the first play. Vocals are by original cast members: Greta Grosch, Janet Paone, Dorian Chalmers, Ruthie Baker, and Tim Drake. 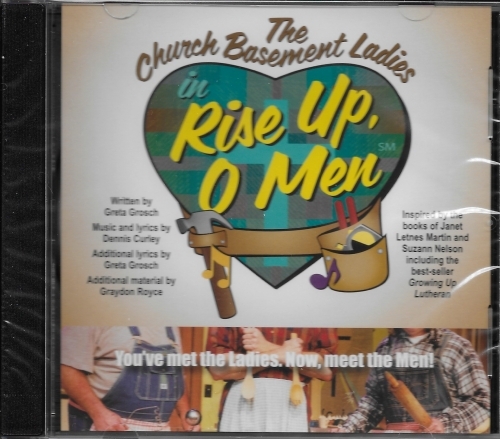 Keyboards, for this CD, are performed by Drew Jansen who is also musical director of the show. Kyle Nelson was the organist for live productions performed at the Plymouth Playhouse. Songs on this CD include: Closer to Heaven, The Pale Food Polka, Get Down to Business, Song for Willie, My Own Personal Island, Dead Spread, The Cities, This is Most Certainly True, Sing a New Song, Mother of the Bride, and For Good.